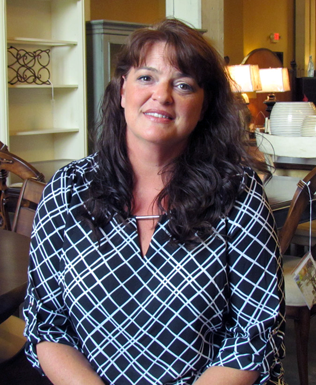 I'm Amy, and I have been a Furniture Sales Specialist with Carolina Rustica since 2009. I have an Interior Design degree, and I spent several years as a design consultant for an industry-leading painting company that provides paint to the furniture industry as well as to consumers. Prior to that, I worked with an interior design firm in Florida. Having an extensive knowledge in the industry, I am well qualified in assisting customers not only with furniture purchases, but also with the entire design aspect of the process. I enjoy helping customers from the concept phase of a project to the final installation of the product.